Studies in teenagers and young people are not yet as common as those that have been undertaken with adults, so any conclusions that we draw from them need to be taken with a small pinch of salt as they are not yet proven. However, like many other areas where research that has been undertaken with adults and has then been extrapolated down to children, it is likely to give us a reasonable idea of the benefits that could be expected. The evidence that has been discovered so far has prompted The Mindfulness in Schools Project, based at Exeter University in the UK, to suggest that there is sufficient evidence of beneficial effects, and lack of harmful effects, for the teaching of mindfulness in schools to be worth pursuing. So what is mindfulness and how can we achieve this? Sit, kneel, or lie in a comfortable position. This should be one that we can maintain for a period of time without too much effort. We can use a chair or cushions, not everyone is able to sit in the lotus position, and fortunately it is not compulsory! If we wish we can close our eyes (not really recommended if we are lying down, as it makes falling asleep more likely) or remain vaguely focussed on a point on the ground about three or four feet in front of us. Become aware of the breath as it goes in and out of the body. Perhaps sense it in the movement of our tummy as it goes in and out with each breath. Perhaps the sense of coolness or warmth as it goes in and out through our nostrils. Do not force the breathing, let it come naturally. We wish to observe what is happening, not to make it happen. Count the breaths from 1 to 10. In out 1, in out 2 up to 10 then start again. When you get lost (which you will) or start to follow a thought, gently bring yourself back to the breath and start again. It is this practice of starting again when we become aware that we are wandering that is the practice. so we need to be kind to ourselves, the aim is not to stop thinking but to become aware of what is happening in ourmind and body so that we can be aware of how this influences our emotions and behaviour. Try and do this for a bit every day. It is better to sit for five or ten minutes a day rather than have a mega two hour session on the weekend. Then we can start to do this in other areas of our lives,. Before we pick up the phone to answer it we can take a couple of deliberate breaths to help us to focus on what we are doing. Do the things we usually do more slowly with awareness. Trey to do only one thing at a time. This may seem like a very simple thing to do. However it can be the practice of a lifetime as undertaken by many buddhist practitioners, or a self help technique to help us relax and concentrate before a meeting or an exam. The choice is up to the individual. However there are marked effects on brain functioning brought about by mindfulness that are generally beneficial to all people. These benefits can even be seen in those who have only used a mindfulness technique for 20 minutes a day for 8 weeks. Some studies suggest an even shorter time period. Changes occur in the areas of the brain which control our ability to sustain attention. This has the added benefit of generating improved emotional integration, This appears to be modulated by better balance between various neurotransmitters such as serotonin. There are changes in the hippocampus (so called because it is supposed to be shaped like a sea horse), an area in the brain that is important for memory and learning. Regions of the brain associated with self-awareness, compassion, and our ability to be introspective and to think about ourselves, our thoughts, and our feelings have also been demonstrated to function differently in those who practice mindfulness. So what does the evidence show are the advantages of mindful practice in daiily life? Less distress shown to life events. Reduced reactivity to stress and events. Higher and more realistic assessment of self worth. The ability to pay greater attention to the task in hand. Ability to use existing knowledge in a more structured and effective way. Enhanced organisational and planning skills. 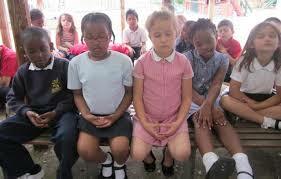 In conclusion, there is an increasing body of evidence that would support the teaching mindfulness to young people. This training is fairly simple to implement and is enjoyed by both students and teachers. It has applications for students and teachers both in the school environment and for the rest of their lives. If mindfulness practice is well taught and the students are engaged into the practice, it can have widespread benefits for their mental, emotional, social and physical health. It contributes a great deal to a general sense of wellbeing for the young people concerned. The strong contribution that mindfulness makes to the development of effective cognitive skills, academic performance, alongside a strengtheningof the executive functions of the frontal lobes results in better decision making. All in all, young people who use mindfulness in their daily lives will experience greater mental and physical wellbeing. They exhibit more positive emotions and are likely to be both more popular and to have more friends. They will experience lower levels of anxiety, depression and have reduced negative emotional reactivity. These are all benefits that are worth having. The impact of such a practice are seen quite quickly as are the beneficial effects on the lives of young people. This can be achieved with little additional effort or expense by being taught in schools. If you are interested in pursuing these ideas or mindfulness there are many sites available. for information and hjelp with developing a mindfulness practice.